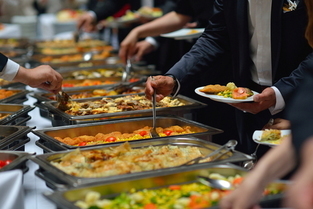 If you’re looking for a superior and trustworthy catering company in the Niagara on the Lake area, then look no further. With Niagara Catering Services, you can know you’re getting exceptional catering services with affordable prices and rates. We have experience planning and serving many types of social events gatherings and offer unbelievable food and service to make your event extra special. From the initial phone conversation, to setup, to food presentation, and finally to satisfied guests, you’ll wonder why you didn’t call Niagara Catering Services sooner. 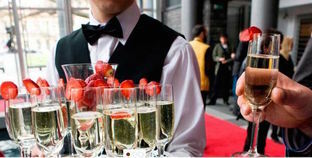 We aim to please at our catering company, and will work diligently to make sure your affair runs smoothly and seamlessly as possible. Our goal is to bring you delicious, custom food that is enjoyable for your guests at an affordable price! We have many different budget options. We have a variety of entrees, appetizers, and desserts to choose from that are mouthwatering and savory. We can also customize to fit a variety of food preferences, including gluten-free, dairy-free, vegan and vegetarian dishes. You can expect the highest level of professionalism from our catering staff. 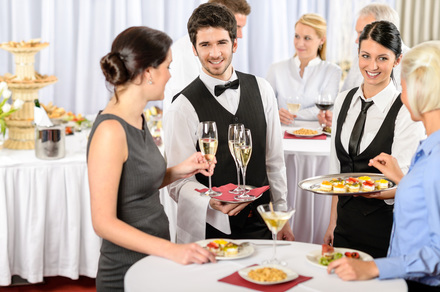 From serving food and drinks to your table, and ensuring that beverage and appetizer or dessert bars are fully furnished and stocked for all your guests to enjoy, we leave nothing unchecked. Our catering services are also prompt, and experienced in serving large parties efficiently to ensure hot and freshly served food is at its best. 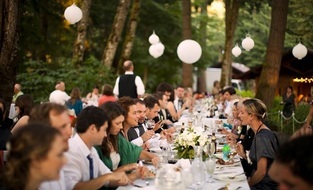 We also offer elegant setup, and will follow any specific instructions upon request from clients. At Niagara Catering Services, we set the high bar for ourselves as a company to ensure the best service and food for our clients. Let us know how you’d prefer food presentation to guests. From extravagant to casual presentation, or formal to buffet style service with food stations, we are happy to accommodate you! We offer the highest selections and varieties of food that will ensure guests enjoy the atmosphere and experience. Not every event or client is alike. We understand different preference styles and can adjust accordingly. We take the time to make sure everything is to your liking and specifications. With our catering services, customize your menu, drink options, and more. We aim to please all our customers at Niagara Catering Services. Call us today for further details! 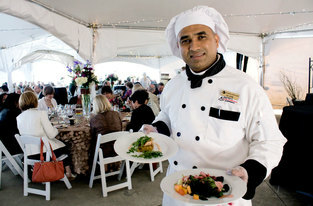 If you’re looking for a superior and trustworthy catering company in the Niagara on the Lake area, then look no further. With Niagara Catering Services, you can know you’re getting exceptional catering services with affordable prices and rates. We have experience planning and serving many types of social events gatherings and offer unbelievable food and service to make your event extra special. From the initial phone conversation, to setup, to food presentation, and finally to satisfied guests, you’ll wonder why you didn’t call our Niagara Corporate Catering Services sooner. We aim to please at our catering company, and will work diligently to make sure your affair runs smoothly and seamlessly as possible. Please call us at 289-273-2266 or fill out the form at the top right hand of your screen to discuss how we can meet your needs.